In our country, with our valuable academicians’ qualified scientific studies and speeches in the field of science and mathematics education, National Congress on Science and Mathematics Education is held biennially. 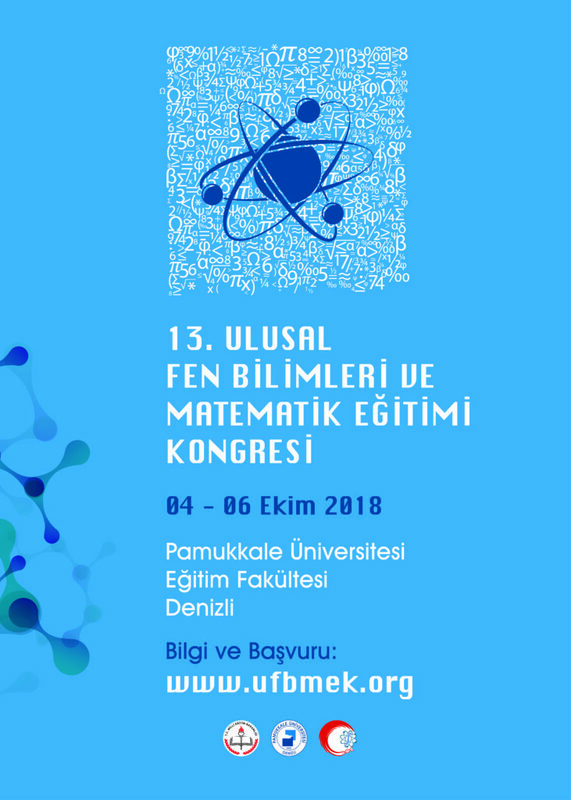 This year, 13th congress is going to be held on October 4-6, 2018 at Pamukkale University, Faculty of Education. Main theme of this year’s congress is 21th Century Skills and Teacher Competence. Studies under the subjects of teacher education, programmes of instruction, teaching methods, instructional technology and applications, assessment and evaluation, FETEMM and applications, environment and health education, special education and non-formal learning environments in the field of Science, Physics, Chemistry, Biology and Mathematics Education will be shared with educators. In the 13th National Congress on Science and Mathematics Education, nearly 450 verbal notification will be presented in 7 sessions, at 18 halls. Furthermore, 19 presentations of poster notification, 1 call speech, 2 workshops and 4 panels will be carried out.